I am very proud of the Vikette’s effort this past weekend. I am even more proud of their current overall team GPA of 93.6. 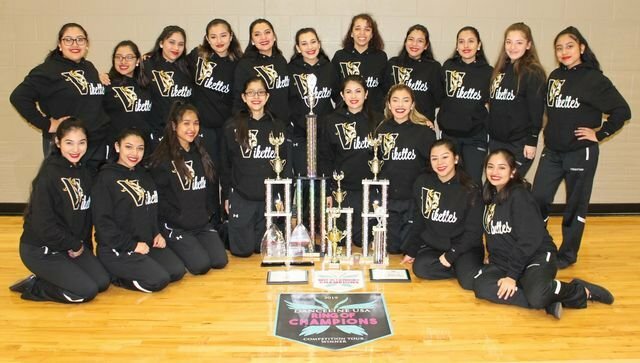 The girls work hard for their grades and are learning the same hard work will allow them to compete at contest and bring home some great trophies. And they were able to accomplish this great achievement with the leadership of Francisca Perez, Maritza Cruz, Amy Moreno, and Jessica Ramirez. Please congratulate the Vikettes for their super accomplishments and representing Lanier with great pride.